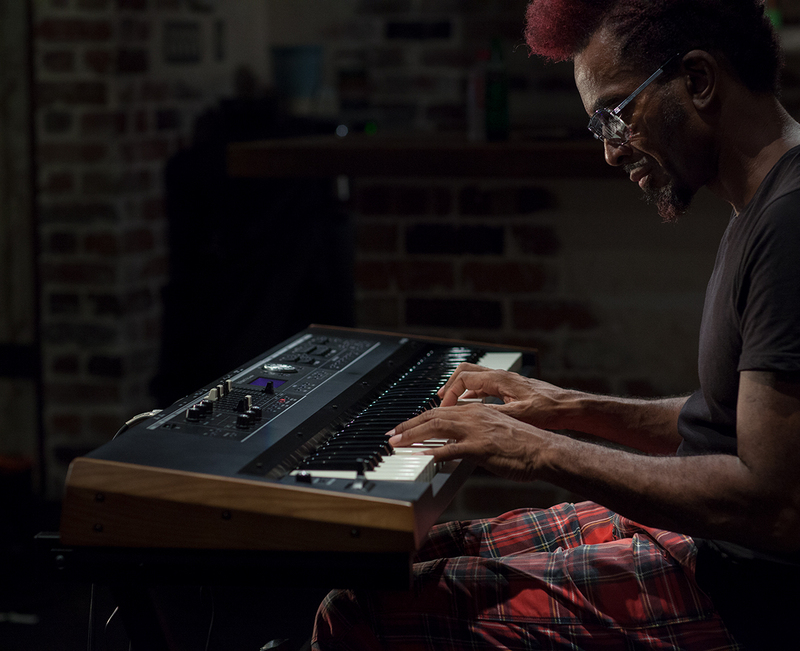 Detroit-based soul/funk musician Amp Fiddler plays the “75 Tine EP” sound derived from the RD-2000, enhanced with auto-panning tremolo and a deep reverb effect. 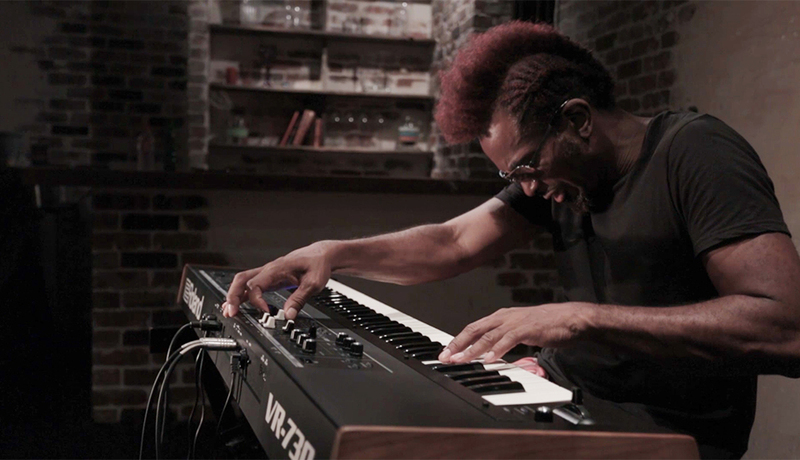 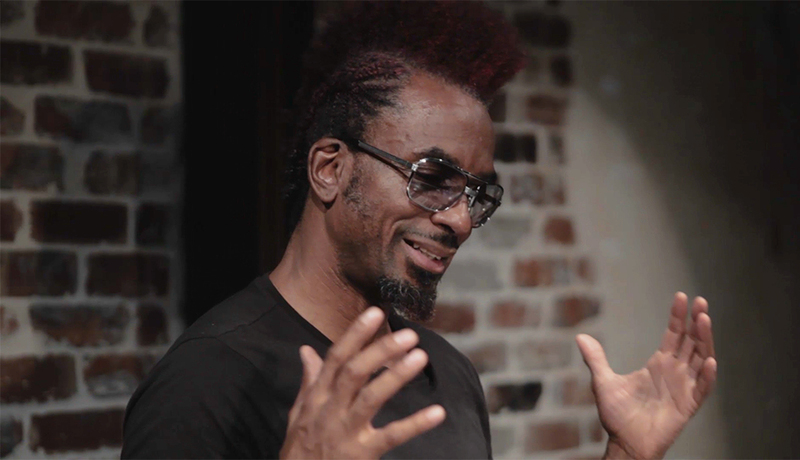 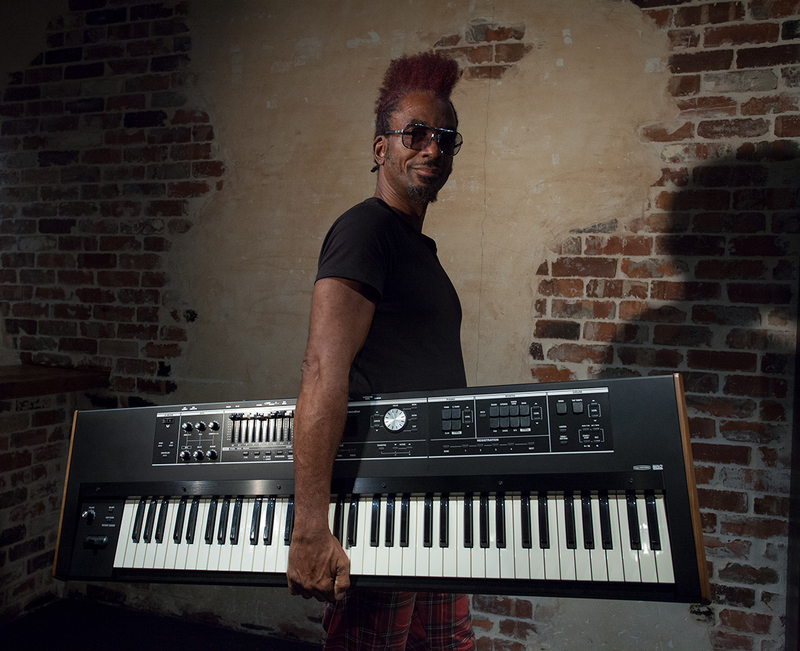 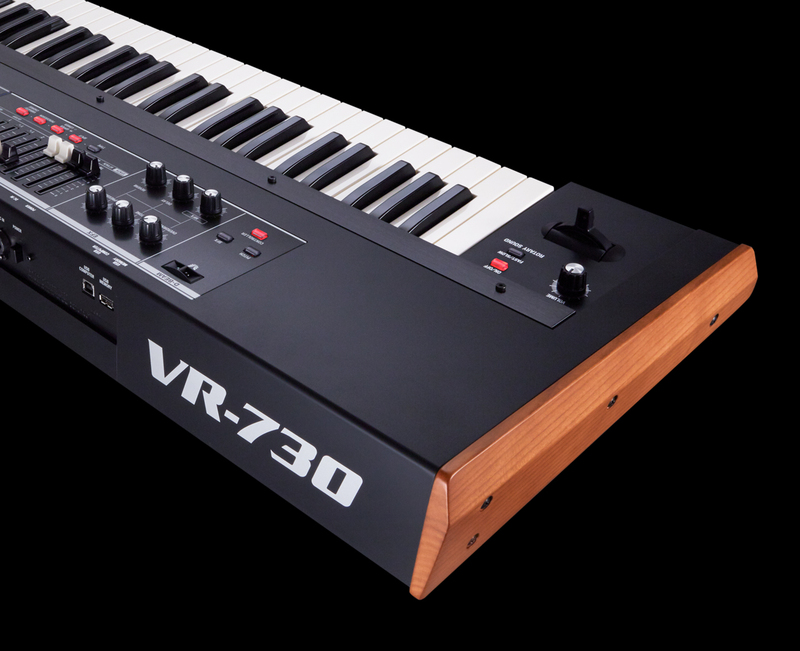 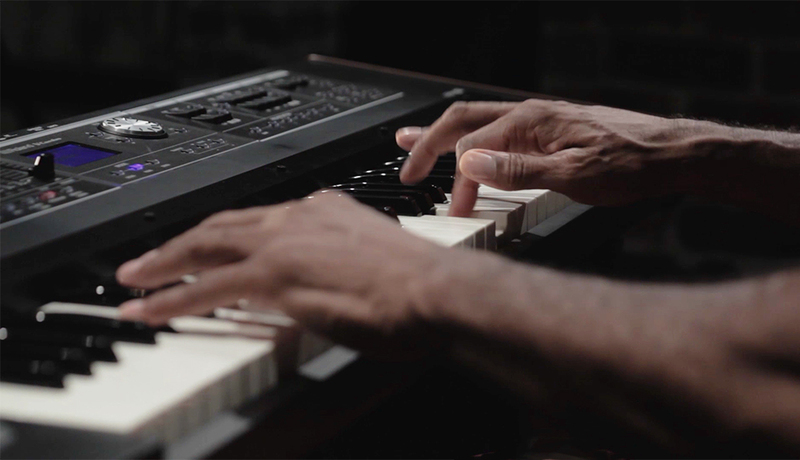 Detroit-based soul/funk musician Amp Fiddler plays the VR-730 with a split keyboard setup. 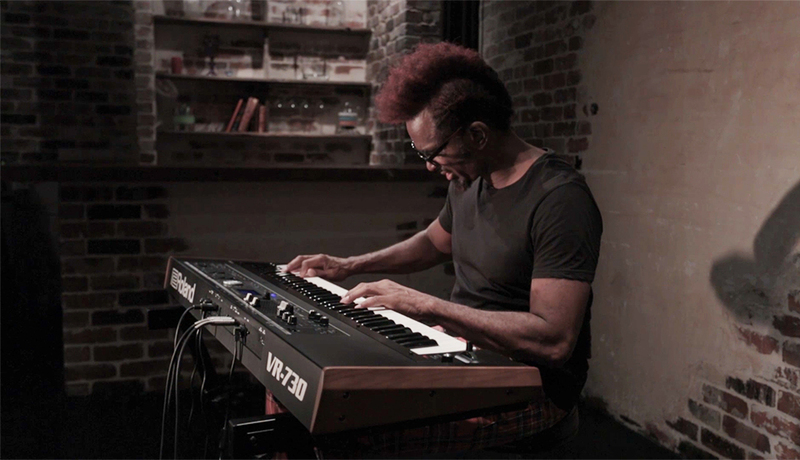 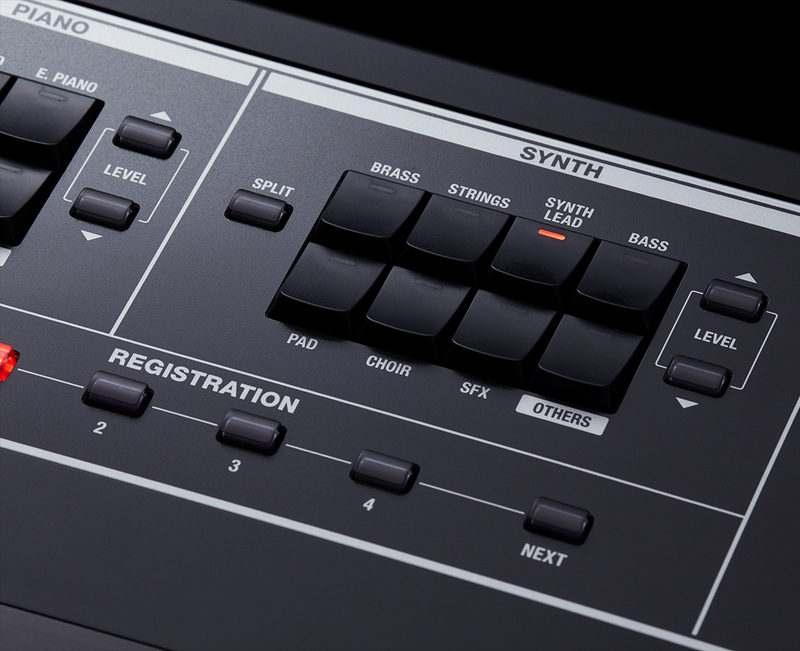 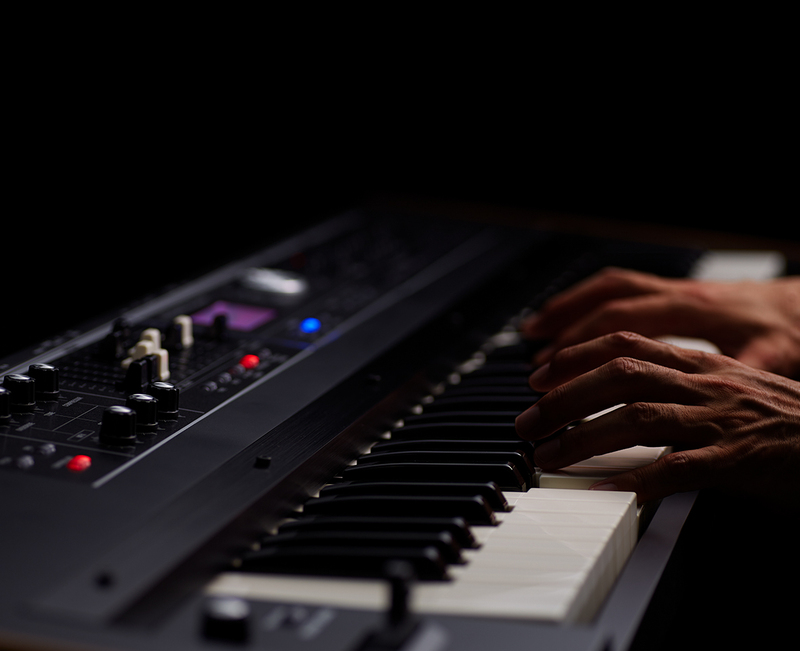 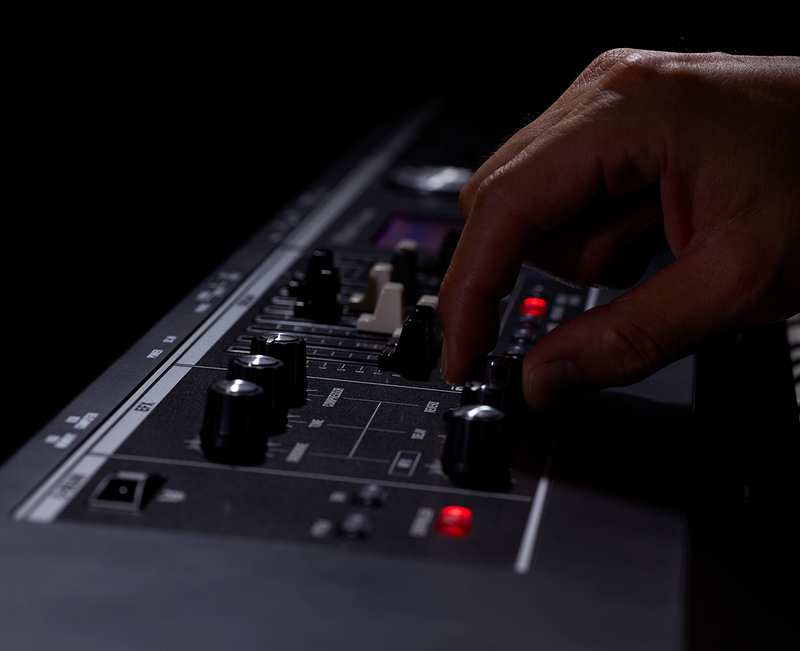 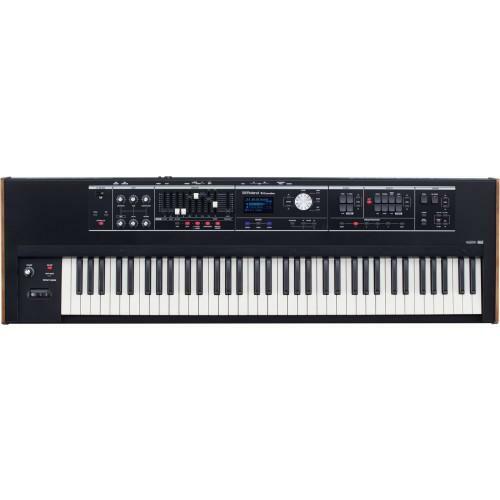 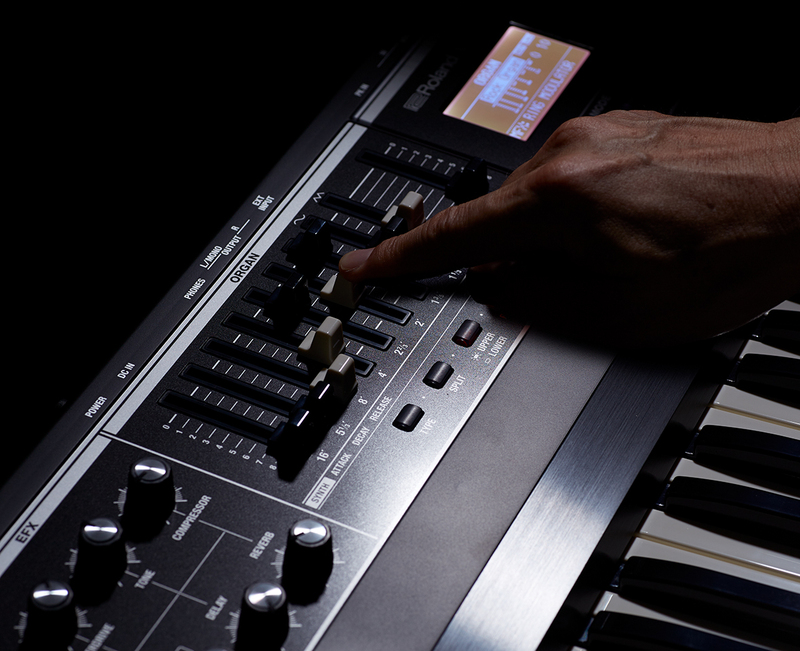 He’s using an electric piano tone (“75 Tine EP”) for the upper key range, and a synth bass tone (“Chow Bass”) for the lower key range.